Thanks for checking us out! Introducing the Lil' Waves Beachpool, the premier children's pool designed just for the beach! The Lil' Waves Beachpool turns the wavy, cold ocean water into a private wading pool for children to enjoy right at your feet! 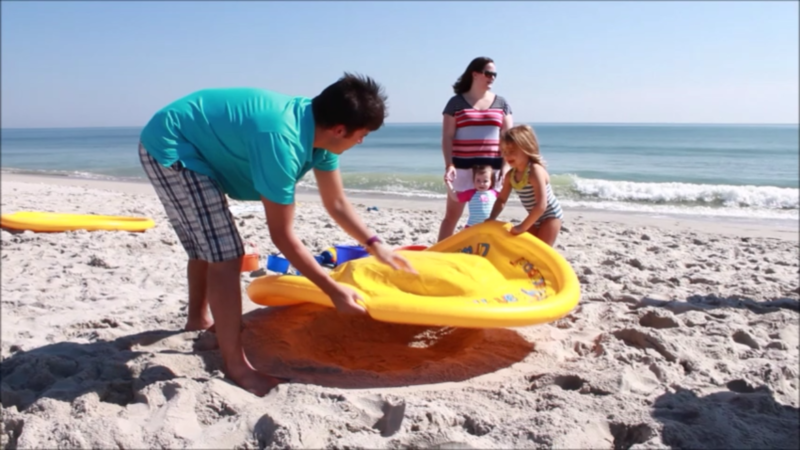 The unique patented design creates a safe enjoyable beach experience for the kids as well of peace of mind for parents.